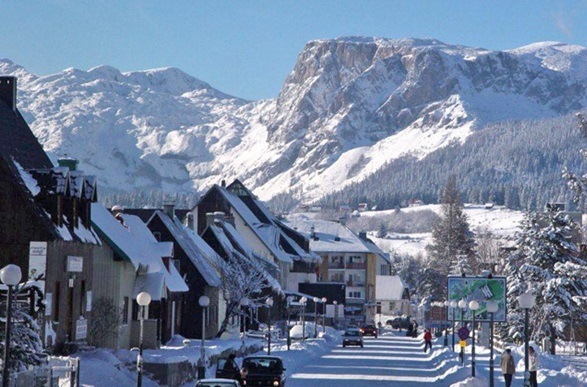 The town of Žabljak is situated in the northwest of Montenegro, in the heart of the Durmitor region, at an altitude of 1450 meters above sea level and is highest urban settlement in the Balkans. It is situated at the foot of Durmitor and surrounded by 22 mountain peaks over 2200 meters, with 18 mountain lakes and the Tara canyon, the deepest in Europe. 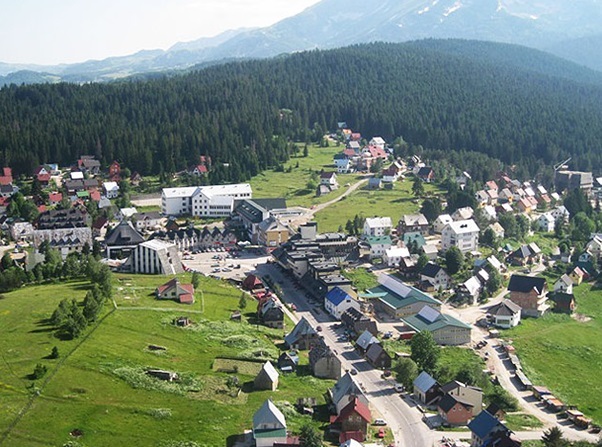 Žabljak with nearby mountain villages has about 4500 inhabitants. 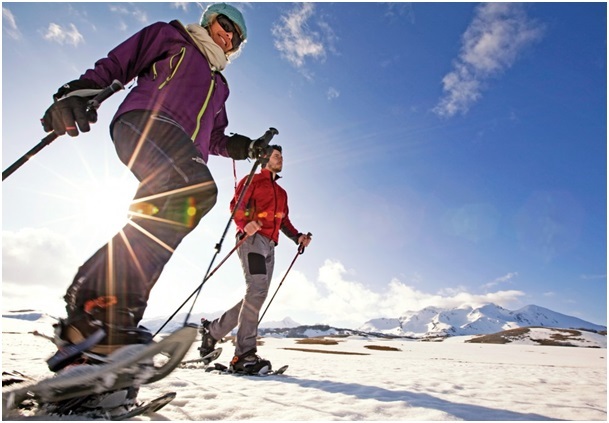 It is popular tourist place to enjoy winter sports like skiing and snowboarding. In 1991. 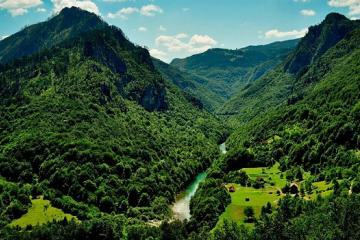 Montenegro has been declared as first ecological state in the world, while Žabljak was selected for its ecological Capital city. The first name of city of Žabljak was "Varezina water", probably due to strong sources of fresh drinking water, around which the villages were formed. Later, it was called by the Inns ("Hanovi" or originally "Anovi"),from the Ottoman period,which were used to shelter travelers and their caravans. The present name Žabljak gets official in 1870. At the same day when the construction of churches, schools and captain's home began. In the war days the old buildings were completely destroyed. 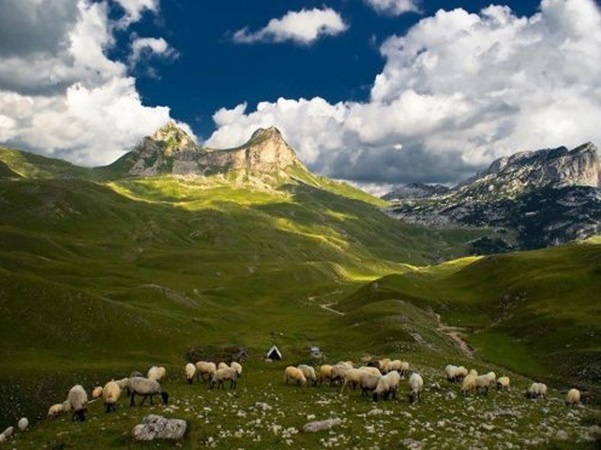 In 1952 Durmitor with its surface of 39.000 ha was declared as a National Park, and since 1980 is officially listed as UNESCO World Natural and Cultural Heritage. 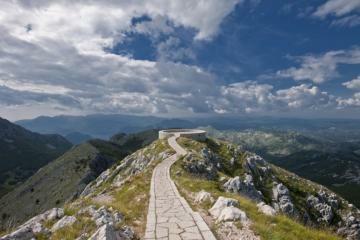 Its highest peak is BobotovKuk with altitude of 2.525 m above sea level, which makes it the highest peak in Montenegro. 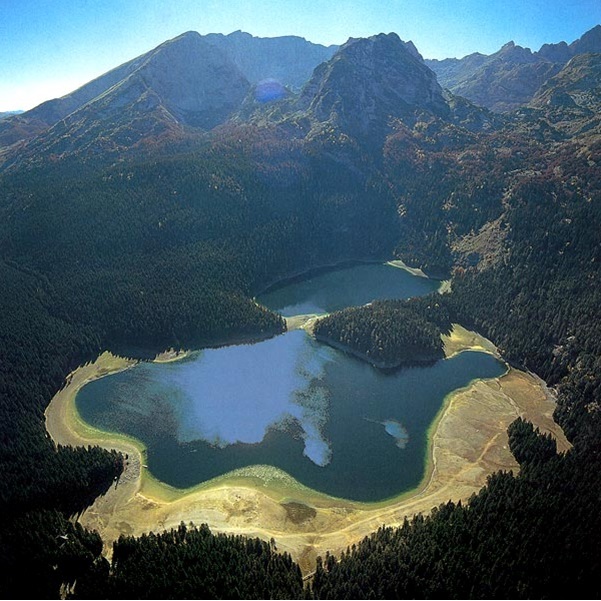 Durmitor is decorated with 18 glacial lakes called "mountain eyes". 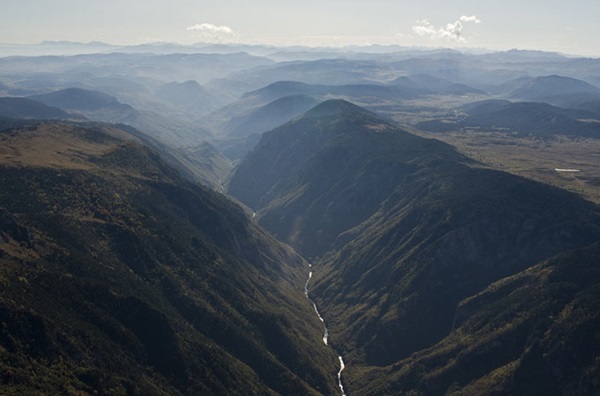 At this area is located as well the Tara river canyon, which height is 1.600m above the level of the river, and makes it the largest in Europe. It includes 1,500 species of plants and 130 species of birds. Canyon was declared a World Ecological Reserve. 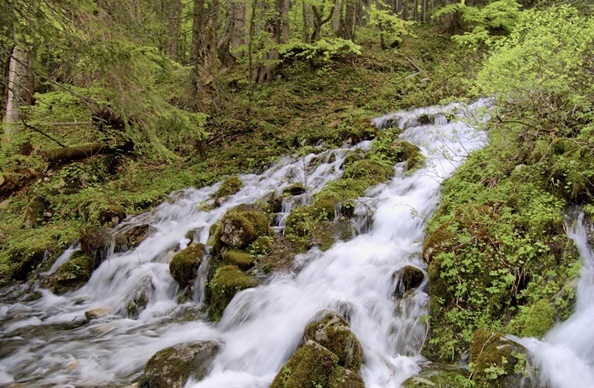 On Durmitor is represented the diversity of flora and fauna, with many endemic and relict species. The fauna is mostly mountainous and high mountainous type. The area of park is rich with 130 species of birds, 1325 species of plants, 122 are endemic and 150 are healing, while the 40 species of mushrooms are edible. There are numerous sites of cultural heritage: necropolis, Greek and Roman cemeteries, churches and tombstones, as well as the traditional architecture (pastures and shepherds huts, mills). Looking at the colorful panorama of Durmitor area, a man cannot escape to think about the origin of this dramatic landscape and influence of powerful natural forces that participated in its creation. A special feature of its clear, green blue shades of the lakes, as is inevitable in all its impressiveness, peace and quiet are entered into a space dominated by rocky cliffs, sharp turn to the sky peaks, gorges, canyons, meadows and pastures. 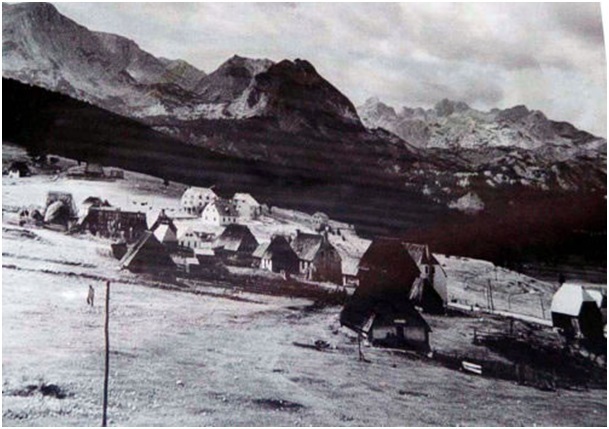 The basis for the scientific research of Durmitor lakes, Serbian geographer and ethnologist John Cvijićbrought in far 1899. 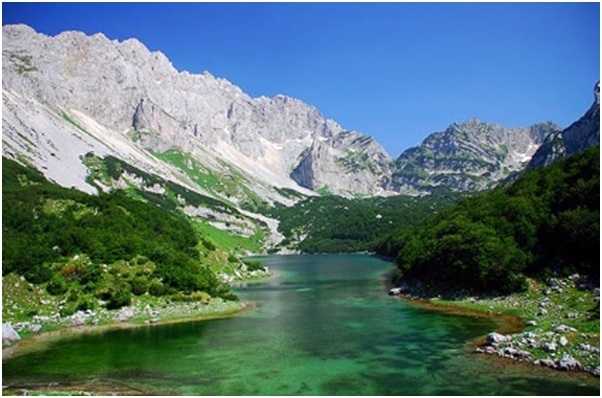 In large part, according to him, the lakes on Durmitor are recognizable element of this mountain, because nowhere in such a small area, you won’t encounter such a large number of lakes. Each of those lakes, which this great scientist called mountain eyes, have their own identity, different according to the origin, size, according to the amount of water in form and beauty of the landscape that surrounds them. 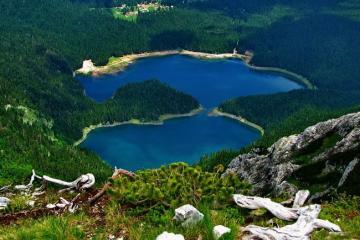 Each of Durmitor’s lake is consider to be an"eye of the land", and together, they make MOUNTAIN EYES. Staring at them, we measure the depth of our soul. 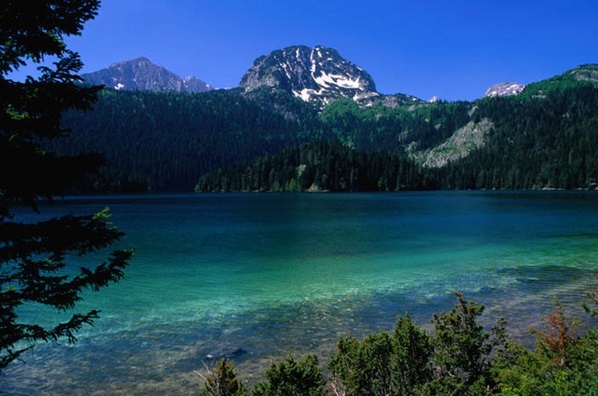 There are 18 lakes around Durmitor area, and some of them are Vražijelake, Riblje lake, Modro lake, Zminje lake and others. At three kilometers southwest of Žabljak, connected by asphalt road, largest and most famous Lake of Durmitor is situated - the Black Lake. This jewel of Durmitor Mountain is located beneath the Bear’s Peak (MedveđiVrh, Medveđ) as its guardian and protector, shrouded by dense conifers, which together with this gorgeous Peak are reflected in his blue green depths. With upcoming spring, when the snow begins to melt,clear strong well ČELINA flushes from the mountain andrushes loudly toward the lake. The Black Lake is made up of two bodies of water, so-calledSmall and Big Lake, separated by a narrow area of land. In summertime, when the water level is low, you can pass this isthmus on foot. 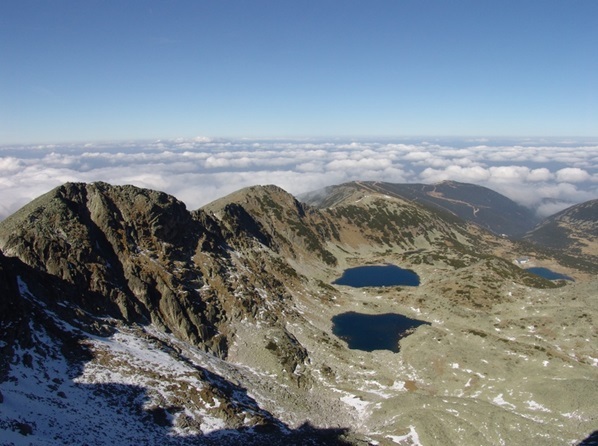 The altitude of the lake is 1418 meters. Small Lake is a deep 50 m and theBig one 24.5 meters. Paradoxically, Small lake actually bigger by its capacity, while the Big one is larger by it surface, but more shallow. Interesting fact is that both of them are flowing lakes, supplied by the underground waters, which means that the water in both lakes is changing all the time. The water temperature in summer exceeds 22 degrees, so that during the hot summer months, the lake is a paradise for swimmers. Municipality ofŽabljak is rich with culturally historical monuments and localities of greatest archeological importance. Next to Riblje Lake (Fish Lake)especially interesting are tombstonesalmost 8 centuries old. Above Tara River are the remains of Pirlitor, a medieval town from 14th century. When we are talking about the cultural richness of this area you will meet several interesting constructions and facilities. The bridge over Bukovica River dates from the Roman period, with 16 meter stone arch. Not far from the bridge there is a carved figure of Vedic God Mitra which is incised in the sacrifice altar. On the stone there is an inscription “In victusaugustus”. As a part of the national park there are numerous necropolis and “tumul”. With their beauty tombstones also stand out – Greek and Roman graveyards. By all means most representative in this area are numerous monasteries and churches. The emergence of Žabljak was followed by the opening of several retail stores and taverns. Thus, already at the eighties of the 19th century, Žabljak represented a kind of market, which had gradually affected to the town’s role of regional administrative center. From previous period there was left just the church of St. Transfiguration, which was erected in honor of the victory over the Turks in 1862. 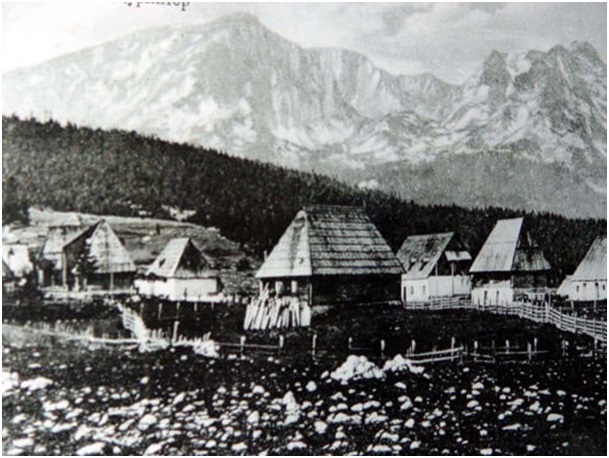 In the period before World War II, Žabljak was a small town with typical mountain architecture. 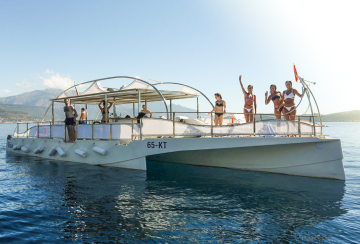 Already in this period, the unique nature is beginning to attract large number of tourists from the Kingdom of Yugoslavia, but also from abroad. 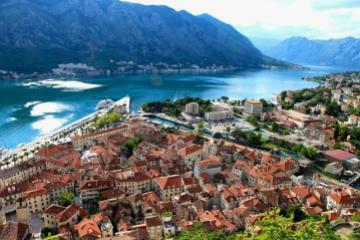 In particular, because of its ties with Montenegro, there were numerous guests from Italy. 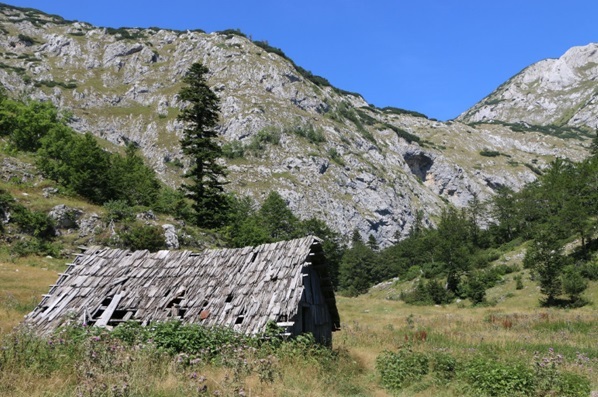 Apart from the magnificent natural environment, rich fauna of this area and the benefits that provides for hunting and fishing, leading to Žabljak a lot of fans of this kind of sport. 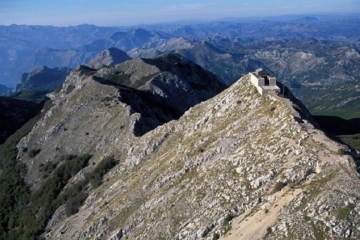 Žabljakalong withDurmitor have made the greatest contribution and sacrifice in World War II. In just seven days after the start of the uprising against the fascists, Žabljak is released and people began to form state institutions. The contribution of the Durmitor National - Liberation Partisan detachments remained inscribed in golden letters, to show how the fight against the fascist activities in the Balkans was important. 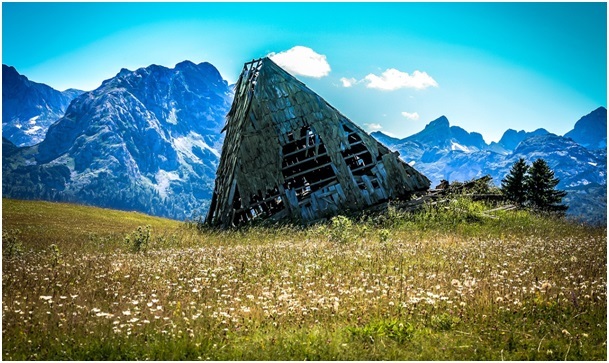 Republic of Durmitor, as they called this place, has survived many attacks, while it was the fulcrum of the Supreme Headquarters, led by Josip Broz Tito. Though not as large area, during the war it had over 2,500 thousands of victims, and has 15 national heroes. During World War II, the small town was burned to the ground. All the homes and institutions were destroyed, andexcept the ruins and fracture nothing was left of this small mountain village. After World War II, Žabljakwas built and edified and became a center of winter tourism in Montenegro. 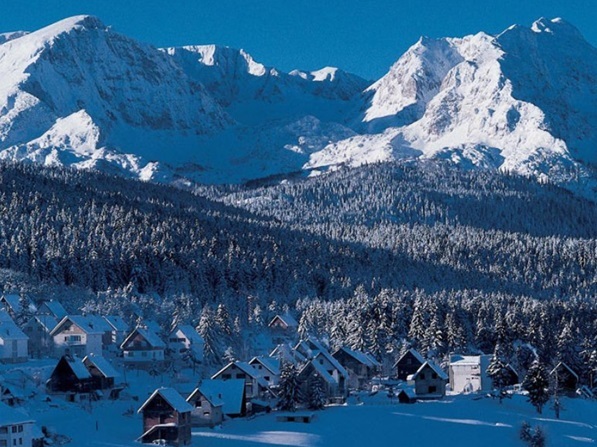 Rising from the ash into a tourist city, Žabljakhas become the leading winter resort in the region, using the beauty of nature that surrounds it, affirming itself as a place to rest and reconnect with the untouched nature. Unique and diverse natural resources, in such a small region recommended Žabljak as the ecological capital of the first ecological state in the world. 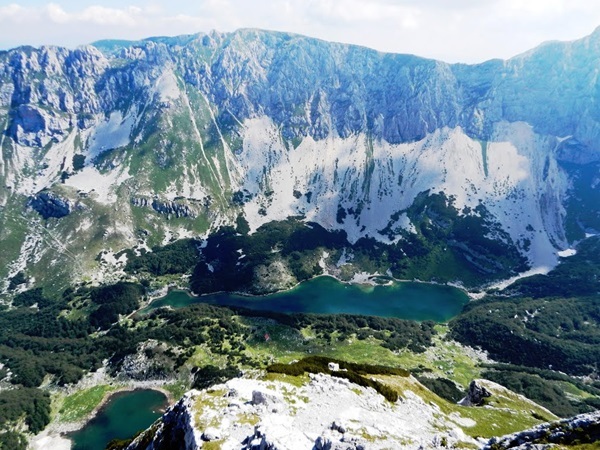 Members of the Parliament of Montenegro, loaded with fresh mountain air, at an extraordinary session, which was held again under the open sky, made a decision on proclamation of Montenegro the first ecological state and made Zabljak its capital.